On the 19th (Wed), admire the masterpieces at Pinacoteca do Estado de Sao Paulo, explore the world behind art at Museu de Arte de Sao Paulo Assis Chateaubriand - MASP, then take in the exciting artwork at Zipper Galeria, and finally take a stroll through Paulista Avenue. For photos, where to stay, more things to do, and tourist information, use the Sao Paulo trip app . If you are flying in from Brazil, the closest major airports are Congonhas Airport, Guarulhos - Governador André Franco Montoro International Airport and Viracopos International Airport. In June, daily temperatures in Sao Paulo can reach 26°C, while at night they dip to 15°C. Wrap up your sightseeing on the 19th (Wed) early enough to travel to Buenos Aires. For shopping fun, head to Puerto Madero or Karina Chavin Espacio De Arte. Escape the urban bustle at Parque 3 de Febrero and Full Sail Argentina. 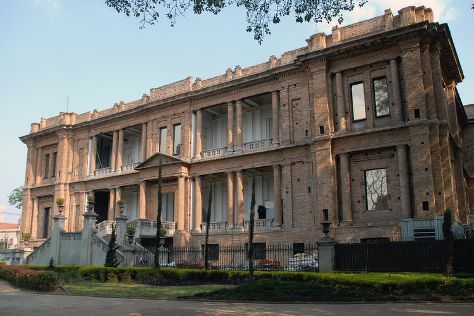 There's much more to do: take in the history at Plaza de Mayo, wander the streets of La Boca, pause for some serene contemplation at Catedral Metropolitana, and explore the world behind art at Museo Nacional de Bellas Artes. 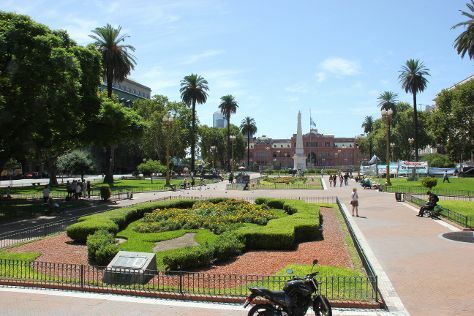 Before you visit Buenos Aires, use our trip planner to discover what you can do and see there. Getting from Sao Paulo to Buenos Aires by flight takes about 7 hours. Other options: do a combination of bus and flight; or drive. Traveling from Sao Paulo in June, expect Buenos Aires to be little chillier, temps between 18°C and 11°C. Wrap up your sightseeing on the 23rd (Sun) early enough to travel back home.